Virtual Assistant or VA is an online job using the internet. It is one of the best jobs here in the Philippines, because you will income dollars for a successful client who will pay for you for a certain jobs after it will finish. Virtual Assistant is generally a self- employed jobs, you can work without an office, you can work either in your home, beach, malls, and even while in the refreshment store. This will provide professional administrative, technical, and creative assistance to a certain client remotely, while in home office using your computer with a high speed internet connection. 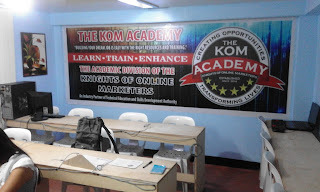 KOM Academy or Knights Of Online Marketers here in Davao, Philippines offered this course at a very affordable price in a 12 course package. 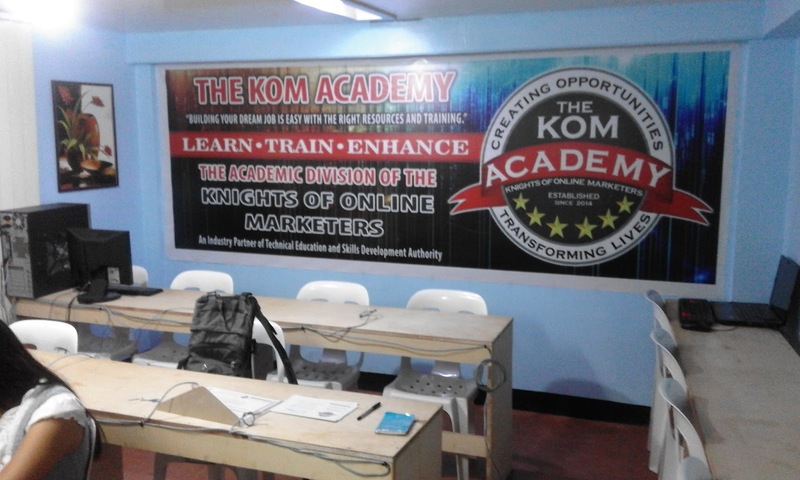 This school is a highly reputable school, they are TESDA accredited school and many times conducted training's of different government agencies, like Department Of Trade And Industries or DTI. They are recipients and received more awards from different government agencies and private sectors. LEARNING DEVELOPMENT TRAINING PROGRAMS (LDTP)- This course covered with Social Media Marketing in Facebook for Business, Content marketing in blogging, Email Marketing in Mailchimp, Search Engine Marketing Using Google My Business, Video Marketing Strategy Training. CONTINUING PROFESSIONAL EDUCATION PROGRAM (CPEP)- This course covered with Web Presence Optimization (WPO) Training, Photoshop Course for Beginners, Content Development and Marketing Training, Social Media Management and Marketing Training, Learning Photography from Scratch Training. INTERNSHIP TRAINING PROGRAM (ITP)- This is 80 hours internship/ on-the-job training. ONE-ON-ONE TRAINING PROGRAM (OTP)- This is 20 hours Virtual Assistant Training. This school is located at Door 21 Leonora Complex Ponciano Street, Davao City, Philippines. Just in front of UM Multitest and besides Techo Life computer store. virtual secretarial services can therefore help take your business to the next level while ensuring you keep your sanity. Hi Aliya thanks you for your visits here in my blog, yes of course and this is a big help to achieve your goal and make yourself more productive.